Valencia vs Real Valladolid predictions for this Saturday’s game in Spain’s La Liga as the hosts bid to improve on a poor start to 2019. Read on for our free betting tips and predictions. This Saturday’s game at the Mestalla takes place with Marcelino back under real pressure after a shaky start to 2019 from Valencia. While the brilliant job he did last term has bought him time, the Valencia board will be increasingly tempted to act if things don’t pick up soon and this has to be seen as a must win game against a Real Valladolid side that is slipping towards a relegation battle. We have seen Valencia make hard work of other games this term against struggling teams. They needed a last gasp goal to see off Huesca at home just before Christmas and they’ve made a poor start to the new year, losing at Alaves last weekend and then again at second tier Sporting Gijon in the Copa del Rey in midweek. A third straight defeat here would really put Marcelino under a lot of pressure and it wouldn’t be a huge surprise if it resulted in a change in coach. As for Valladolid, Sergio Gonzalez looks pretty secure in his position but will be getting increasingly worried by his side’s slide towards trouble. It’s just 1 win in 9 league games now for the newly promoted side and with a host of teams below them in form, they could find themselves in big trouble a month from now if results don’t pick up. They can at least take comfort from their away record, which is very good for a side trying to find their feet in the top flight. Indeed only two sides in La Liga have picked up more points on the road this term and Sergio will be delighted with a record of just 2 defeats from 9 away league outings this season. That alone suggests that Valencia are ridiculously short for the win here, particularly given their struggles at the Mestalla this term. Los Che have drawn 67% of their home fixtures in the 2018/19 Primera Division, winning just twice in front of their own fans. Those two victories came against the bottom two clubs and with no real signs that they’ve turned the corner as we head into a new year, backing the visitors to get a result could be the best move here. There certainly looks to be value in going for Valladolid +1.0 Asian Handicap in this one. Read our Asian Handicap Betting Guide for more on this market. Valencia have only lost one of their last 11 LaLiga home games (W3 D7), 0-1 against Girona in November 2018. Real Valladolid have only won one of their last nine LaLiga games (D3 L5), however that victory did come away from home (2-1 against Real Sociedad on MD15). 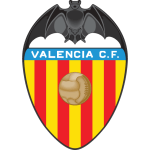 Valencia have only collected 22 points from 18 games in LaLiga 2018/19 – only in one of their previous 20 seasons have they had fewer points at this stage (19 in 2016/17). Only one of Valladolid’s last eight goals in LaLiga have come in the first half of games (Toni Villa’s goal against Real Sociedad in November). Valencia are the team with the lowest shot conversion rate in LaLiga this season (8.7%). Valencia captain Dani Parejo has scored in each of his last two appearances in LaLiga and he could equal his best goalscoring run in the top-flight (three games between April and May 2015). Real Valladolid’s Duje Cop has scored in two of his last three LaLiga games against Valencia, one for Malaga and another for Sporting de Gijon. Valencia manager Marcelino Garcia Toral has won five of his last seven games against Valladolid in all competitions (L2), with the most recent victory coming in August 2013 as Villarreal boss (2-1 at La Ceramica).